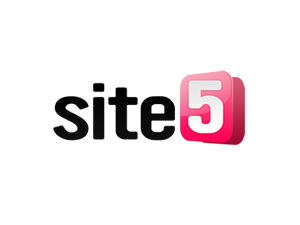 Site5 is an excellent green company. Prices start at $4.95/Month for unlimited disk space, unlimited bandwidth, one-click installations, servers run RAID-10 hard drives and have all of the latest server technology. Technical support is second to none (available 24/7). With chat and email you see a picture and description of the person helping you. They are a very green company. They planted over 5,000 trees, employees work remotely (no offices or driving to work), have little to no office waste, and use top-of-the-line energy efficient servers. A test site we run on Site5 Cloud gets a very stable uptime of 99.71% and speedy average response time of 906ms over the past year. 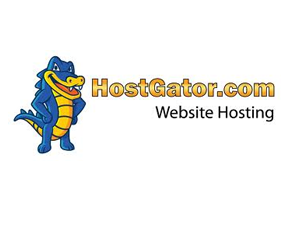 HostGator runs very eco-friendly servers. Prices start at $3.96/Month for unlimited disk space, unlimited bandwidth on green servers. Technical support is 24/7 via phone, chat and ticket system. Their servers are 36% more efficient than industry standards and they purchase 130% of their company's carbon footprint by purchasing carbon offsets. We have used their shared hosting plans which are green with great experience. A HostGator website that we monitor has an uptime of 98.11% and an average response time (speed) of 737ms (both reliable and fast). Rochen works to provide quality green hosting. Prices start at $8.95/Month for 1GB RAID-10 storage, 50GB data transfer, multiple domain hosting, all latest server technology, and proprietary Joomla software "Joomla Utilities". Technical support is email only. Rochen stays green by continually updating technology to be more energy efficient. They work to reduce energy used to cool datacenters and power servers. 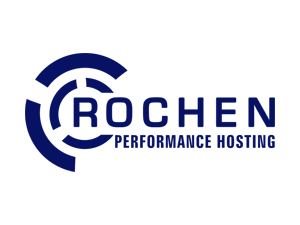 We have hosted several sites with Rochen over the years and found they have provided excellent speed and uptime. GreenGeeks is entirely environmentally friendly. Prices start at $4.95/Month for unlimited disk space, unlimited bandwidth, latest server applications, unlimited databases and one-click installers Fantastico/Softaculous. Technical support is available 24/7 via live chat, phone and email ticket. GreenGeeks is green because they purchase 300% of their carbon footprint in carbon offsets. Servers are reconfigured to be more energy efficient, employees telecommute, and the office recycles to reduce waste. We have never hosted with GreenGeeks. Our conclusion is they offer reasonably priced plans for a green focused hosting company. 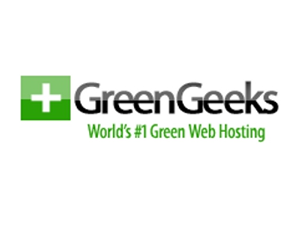 Obviously, if you are looking for an 'Green' hosting company, you need to ensure they are environmentally friendly. Often times this consists of low energy consuming servers. Their datacenters are built to save energy and have as little carbon based emissions as possible. They will even purchase carbon offsets and plant trees to help the green movement. Even though they help the planet, they still need to have dependable servers. Uptime and speed are key for visitors and search engines alike. Have an uptime monitor check your site every minute to see if there are possible outages or slow response times. Having enough disk space is important. You don't want to be paying a premium for green hosting and not have enough space to install Joomla, for instance. Also in this category is bandwidth. Companies like GreenGeeks offer a great plan while doing a great service to our planet. Keeping tree and plants safe is good, but what about your website? It also needs to be secure and safe from unsuspecting attacks on servers or damage to hardware. Make sure the green company does not sacrifice any of the standard security measure in order to save money or go green. Same principle of helping planet earth needs to be applied to it's population, US! Make sure your company takes care of it's customers like they do the planet. Phone support, live chat and responsive ticket systems all help this work better.